A special thank you from all the team at ComputerWorld for attending our VMworld 2015 Update. We hope you enjoyed the event and were able to take at least one thing away to further help you and your business Define Tomorrow. We are really keen to see your thoughts, learnings and photos from our event on twitter so if you follow @CWGroupUK and tweet with the #DefineTomorrow hashtag, you will be automatically entered in the draw to win a £100 Amazon gift voucher and a free health-check of your virtual environment by our virtualisation specialist (worth over £1000). We have arranged a series of follow-on webinars to help you further understand of some of the technology we’ve showcased and the direction that the industry is heading. Please feel free to join as many as you feel will be useful to your business. If you were unable to make our event or would like to share some of the content with your colleagues, this condensed version will guide you through the key elements that were covered at the event. With wireless becoming the default standard for end user and IoT connectivity, no longer can you afford for wireless to be a second class citizen in your network. Our networking specialist (David Hepworth) will run you through the key considerations of designing a robust, secure and enterprise grade wireless network and explain how ComputerWorld and Ruckus wireless can help you. . 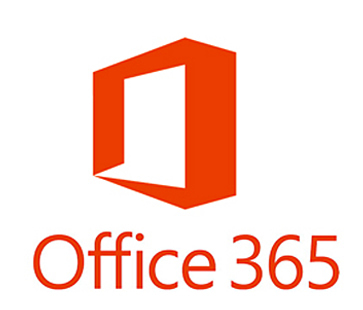 If you are currently considering Office 365 or have recently moved to it, this must-watch webinar (hosted by our Microsoft Specialist Oli Restorick) will help you understand some of the widely misunderstood and overlooked features of Office 365. Your physical servers are now virtual machines, your PC's that connected physically to your network are now laptops and tablets with wireless connections and you data centre is slowly moving to the cloud, but you are probably still managing you network the same way as you did 10 years ago! Maybe it’s time to think about modernising your network and in this webinar, we will cover the current trends within wired, wireless and virtual networking. VMware vCloud Air allows you the simplest way to make use of the cloud by connecting your existing VMware infrastructure seamlessly to the cloud. This easily anbles on demand expansion and services such as DR and Desktop delivery. In this short webinar we will demonstrate the technical features of vCloud Air and how it could help your business. With vSphere 6 reaching maturity and being widely accepted as the standard for server virtualisation, it’s time to upgrade your infrastructure. ComputerWorld are offering 10% off all vSphere 6 upgrades completed during 2016. Are you looking to improve your vSphere 6 skills or just looking to see where your current level of knowledge is? If so register your interest for our FREE vSphere 6 skills assessment launching in December 2016. If you are looking to fill a technical position within your Company, speak to ComputerWorld Personnel who specialise in technical recruitment and, as an attendee of our Define Tomorrow event, new clients are entitled to 20% discount off your first placement. Would you like to know how well your shared storage solution is performing? Or understand where the bottlenecks lie within your Infrastructure? Perhaps you’d like to find out which virtual machines are consuming the most resource? Computerworld’s Collaboration Needs Assessment service is designed to enable organisations to realise the full potential of interactive technologies. With this assessment, we show you how the adoption of collaborative working can lead to cost savings, increased productivity and improved communications through either investment in technology or by improving the adoption rate of existing assets.